Enter your best email, name, phone number, with a quick description of your need below. Expertise - #1 Best Selling Author and INC. Magazine Columnist. 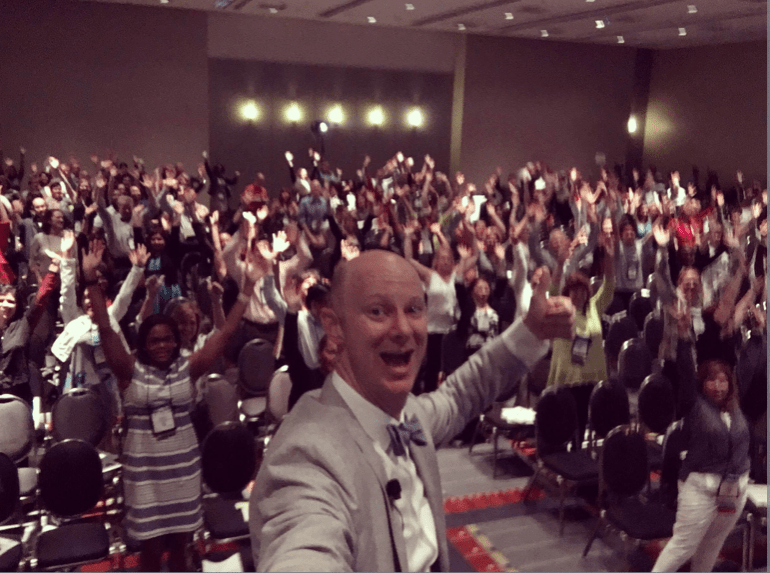 Engagemement and Motivation - Delivered presentations from the stage at SHRM, PMI, and several Fortune 1000 organizations. Stories every leader can relate to - Shares his own personal transformation from disengaged, burned out employee to motivated corporate star. 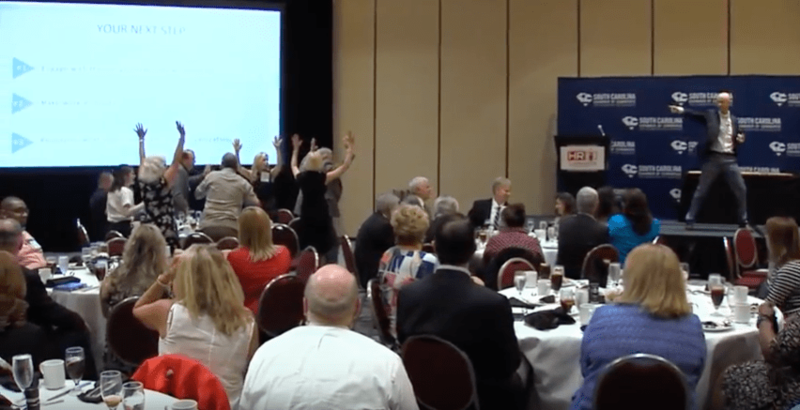 This is an entertaining and energizing experience that’s the perfect pick-me-up keynote. 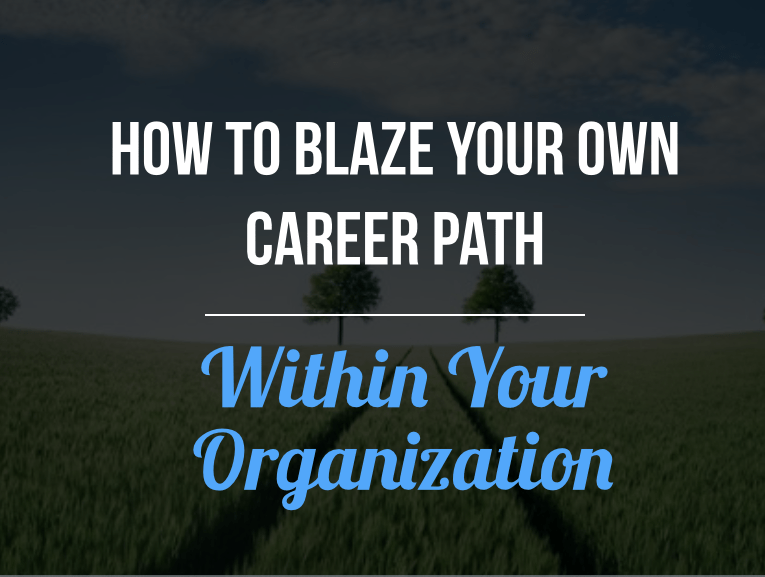 You’ll learn how to engage with the potential of your current job and cultivate the work that inspires you. 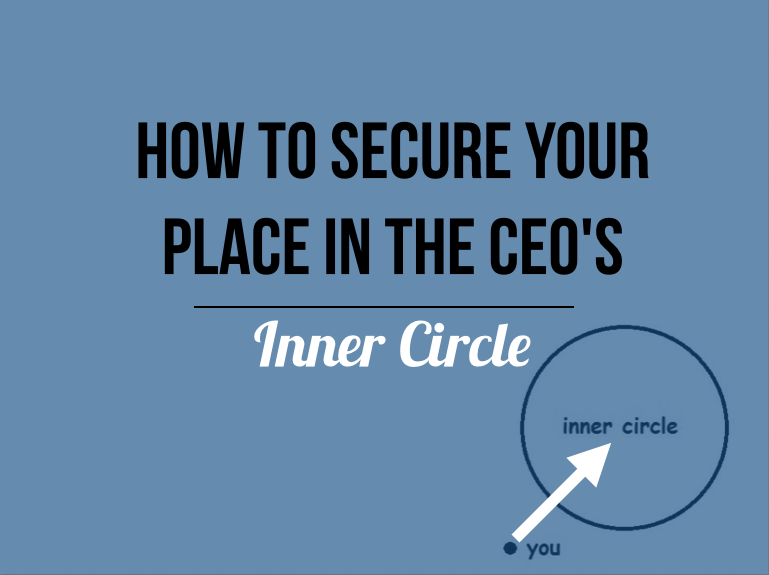 All company leaders, from the cubicle to the corner office, can benefit from this presentation. Help your leaders avoid tipping into disengagement and burnout. Discover the wisdom behind this idea, my personal story, and a very practical strategy to put the idea into action immediately. 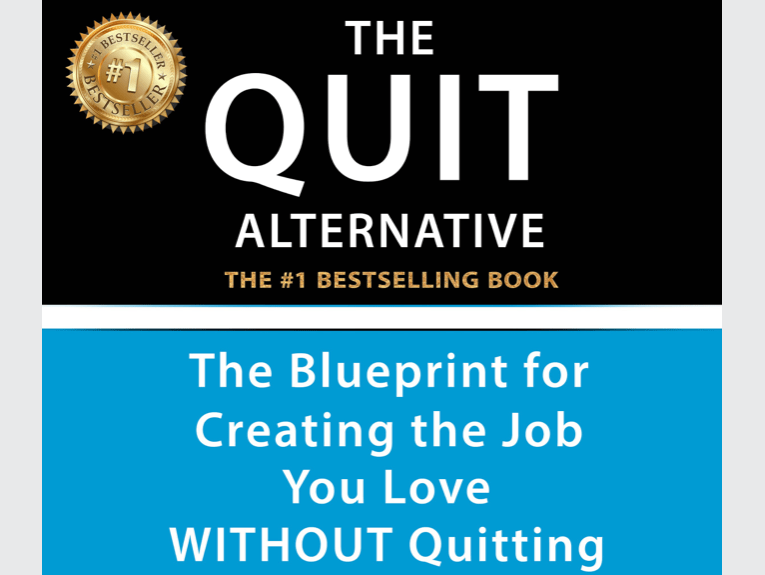 When you reach your personal tipping point, the first reflex is to (1) quit and find a different, better job; or (2) stay and quit in the job you have i.e. disengage. Neither option usually solves the problem and even results in a catastrophic cost, valued at over $100,000 for the organization and employee combined. Designing your dream job (or supporting your employee to do so) is a better investment. 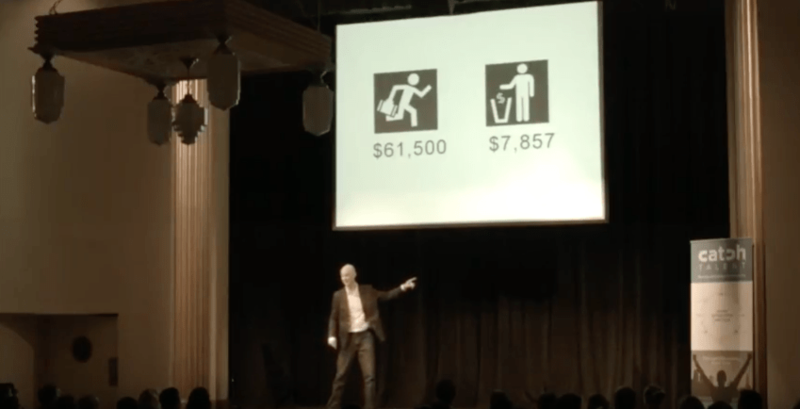 How to make your work a 'get to' versus a 'have to"
Reduce the cost of turnover for your team and organization through this engaging presentation. You'll discover a fresh approach to employee relations. 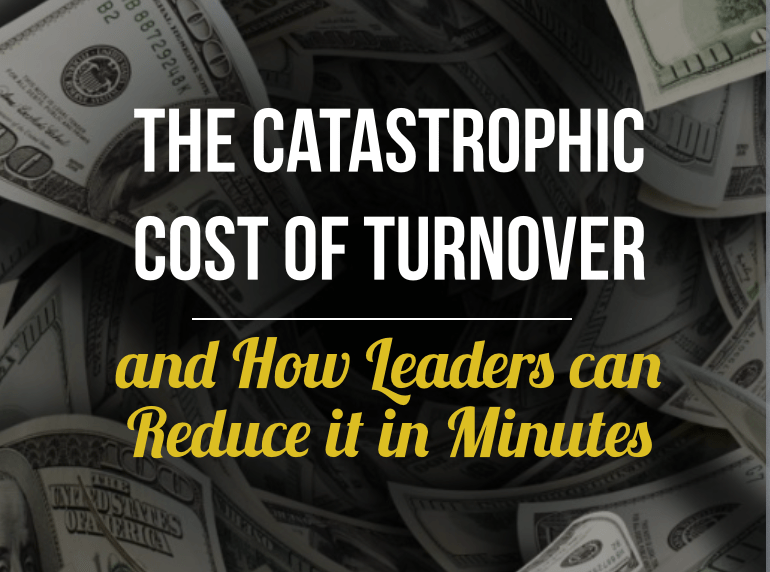 When deciding on whether to retain or fire, you need to understand the cost of turnover. Description: Through this engaging presentation, you'll discover a fresh approach to employee relations. When deciding on whether to retain or fire an employee for your organization, you need to understand the cost of turnover! Effectively reduce the cost of turnover for your team and organization. 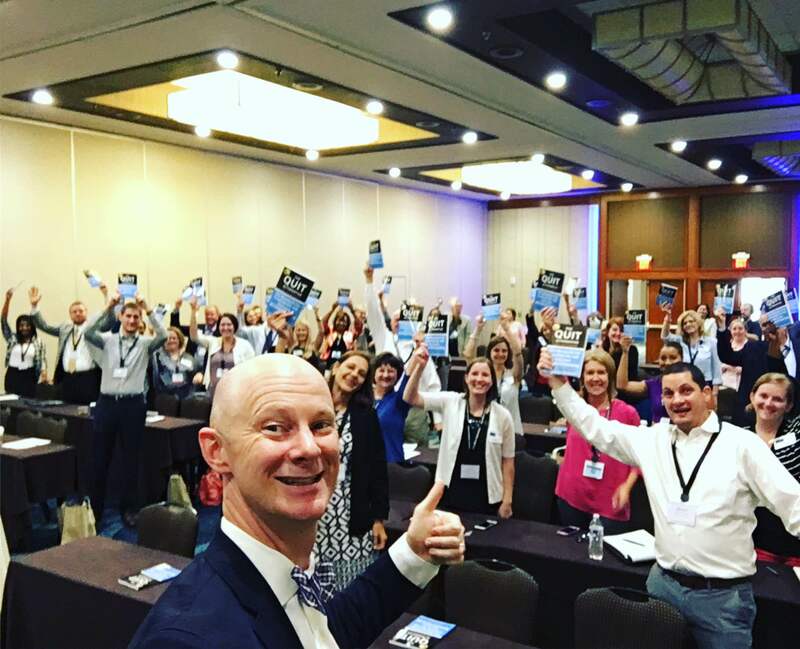 An engaging, highly applicable presentation that equips sales teams with strategies to attract new accounts effortlessly, grow the business with existing customers, and apply a simple conversion process to get to 'Yes!'. How to build your business without a business card. 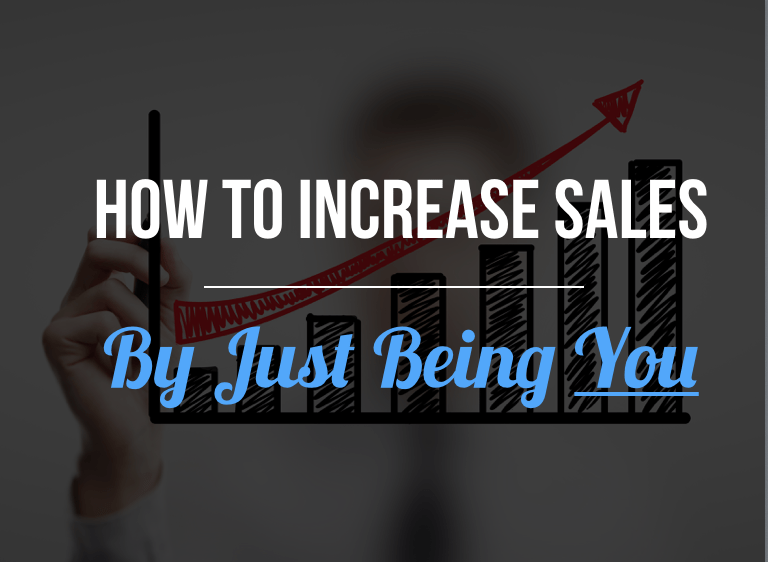 How to get clients to sell themselves…so you don’t have to. The one ingredient necessary to build your business. How to make customer relationships bulletproof from the competition. A simple strategy to unseat an incumbent. The simple modification that turns an introduction into a long term customer. How to seamlessly turn a 'No' into a 'Yes'. The one element that doubles your conversion rate. How to convert comfortable customers into high performing relationships. The playbook to become an irreplaceable, guarantee your place at the table, and make a bigger impact on the team. Discover the strategies to become more influential and effective within your organization. Apply the memorable lessons from this presentation to cut your to-do list in half and become more productive. Discover the simple strategies that help you and your team to complete your "gotta do" work with higher quality and more ease. 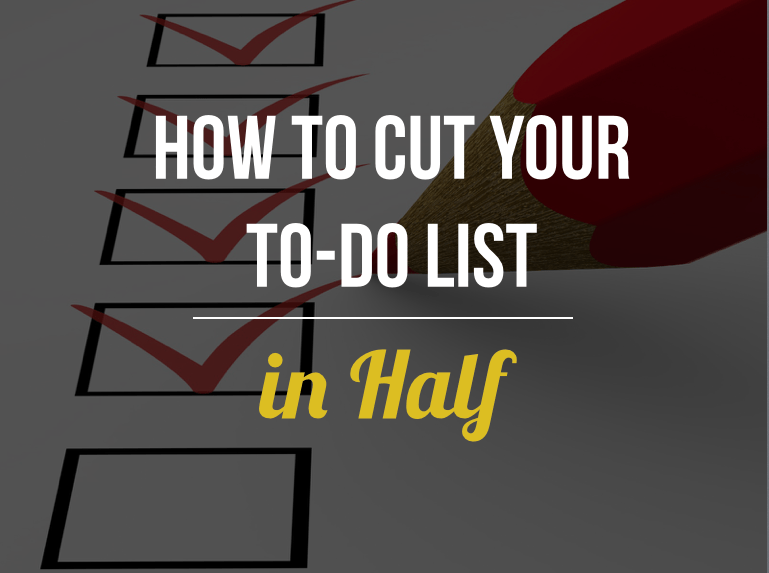 Cut your to-do list in half and become more productive. Apply these these strategies and get your gotta do work done with higher quality and more ease. 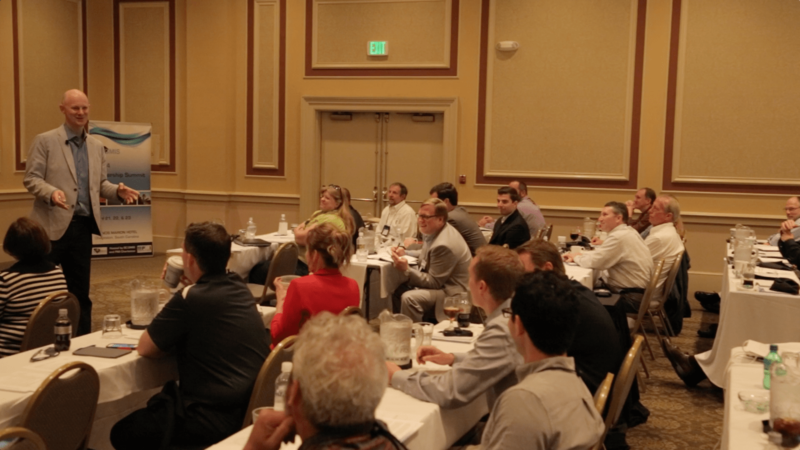 Attendees are equipped with the skills to thrive in a challenging work environment, drive bottom-line results, and proactively identify growth opportunities. 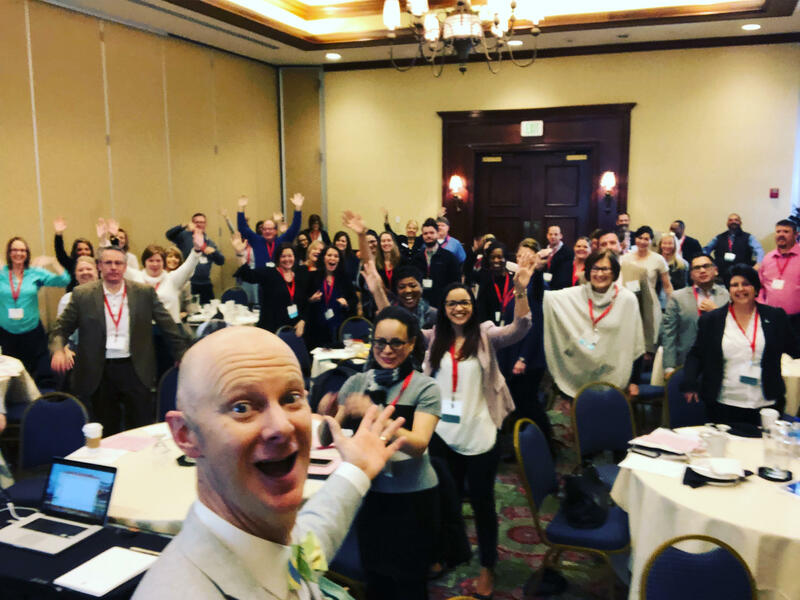 Attendees are equipped with the skills to thrive in an environment where they are expected to own their professional development and identify growth opportunities. How to do more with less and still hit your annual goals. Why you don’t have to wait to get promoted to grow your career. 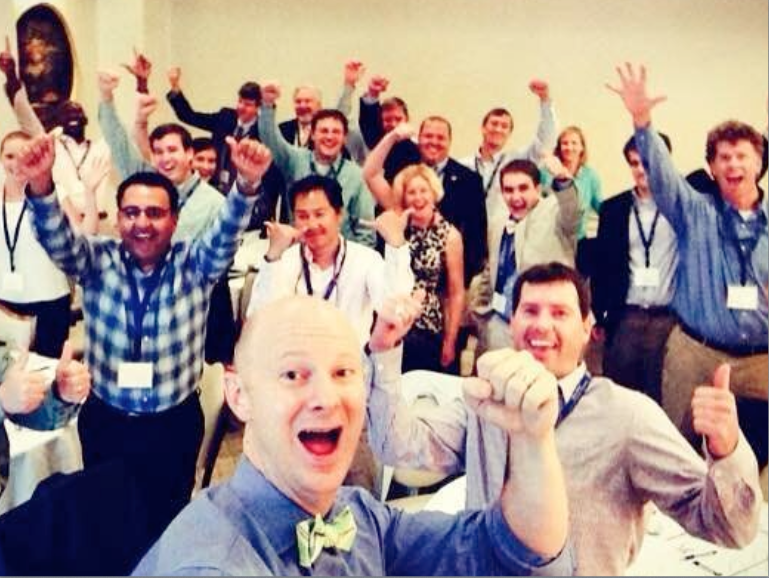 How to take charge of your professional development and prepare yourself for the next level. "Ben's presentation was so relevant. It's been four weeks and everyone is still talking about the event. 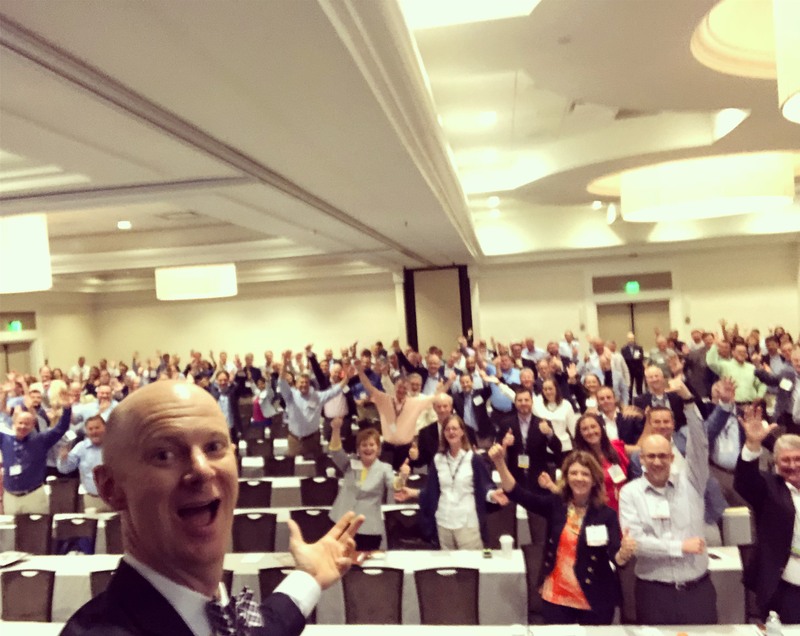 More importantly, it’s obvious that they remember many of his key points and are putting them to use at work"
"Everyone was thoroughly engaged. He raised the roof and raised the bar for our program!" "Instead of work as a 'have to' Ben re-frames work as a 'get to'...an inspiring keynote message for our professional development event. His message was spot on." 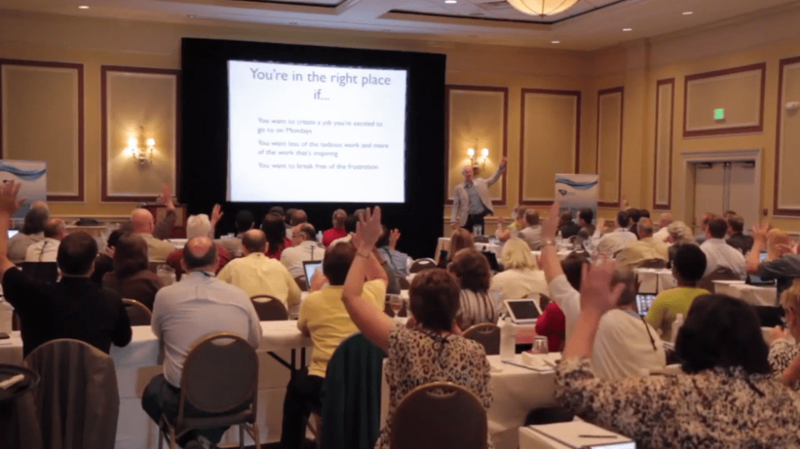 "I enjoyed Ben's presentation immensely. What a refreshing message!" 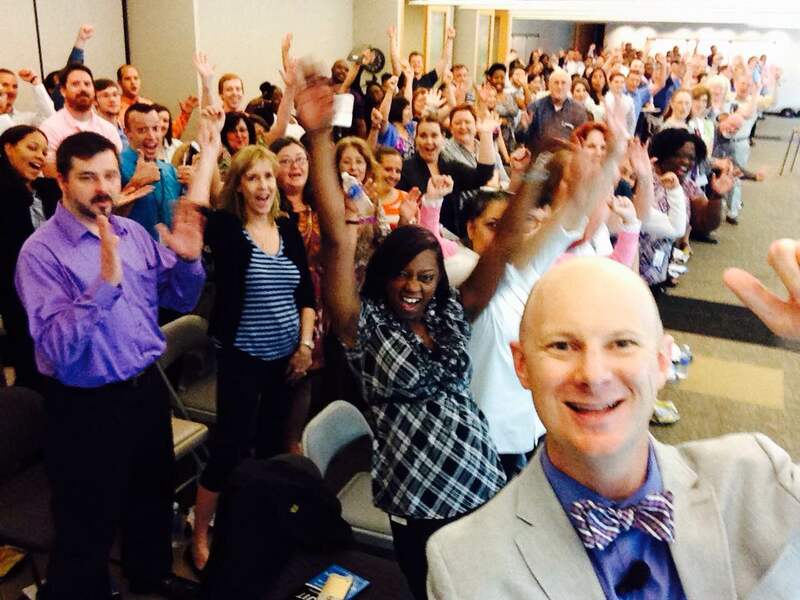 "Ben gave a motivating and entertaining presentation to my leadership team. I highly recommend him for your next event." "Ben connected with the audience and his style is very interactive. He provides relevant information and is very enthusiastic. 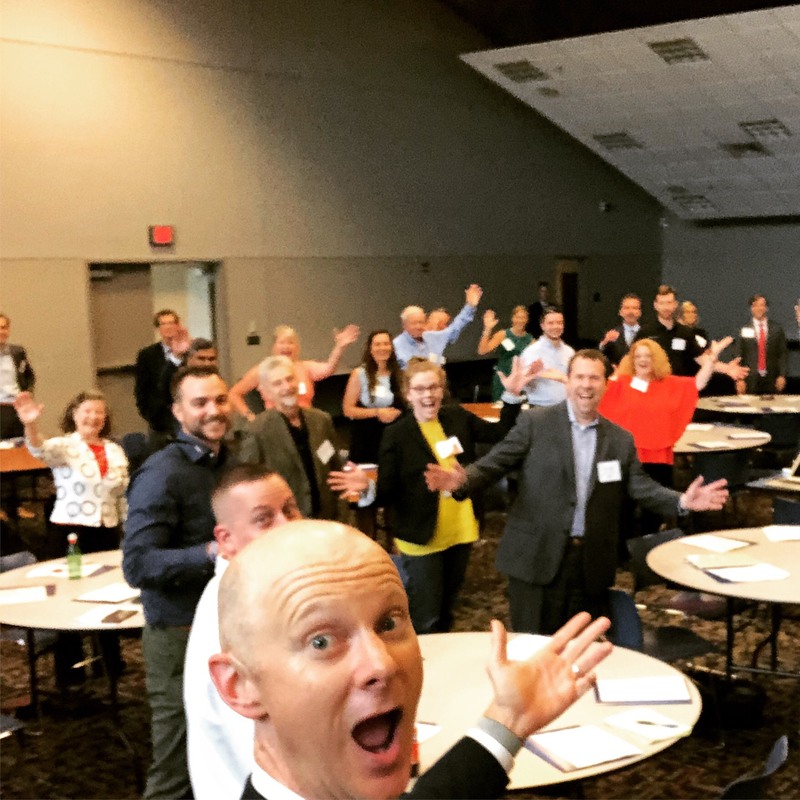 He was a pleasure to work with and I highly recommend him.."
"Ben delivered an interesting, engaging and extremely motivating presentation to our group. I left feeling reinvigorated and immediately put to use some of the practical advice he gave that day. 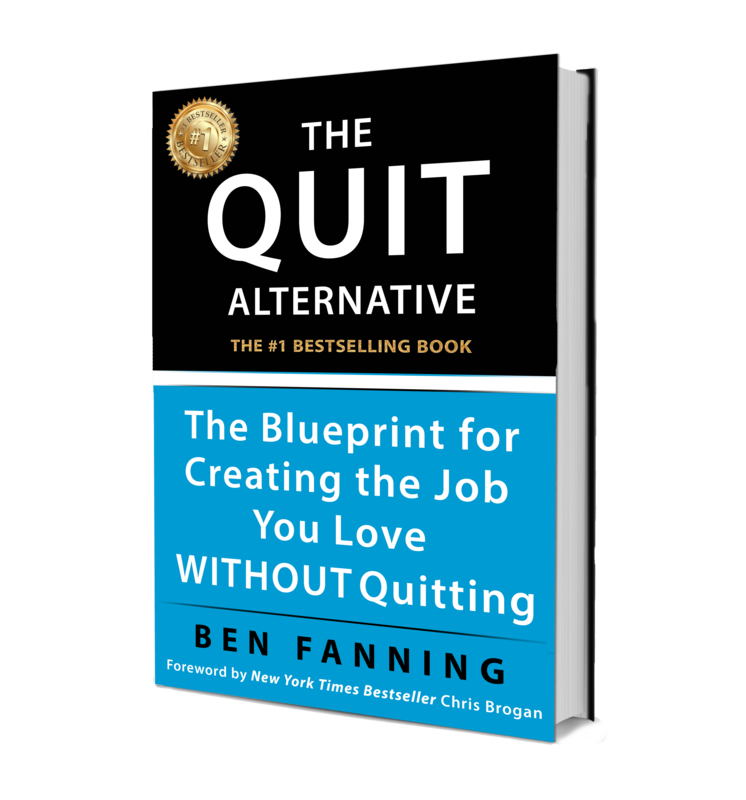 Ben helped me realize that "initiative is scarce" and consequently gave me the confidence to step outside the constraints of my job description to make bigger contributions at work." 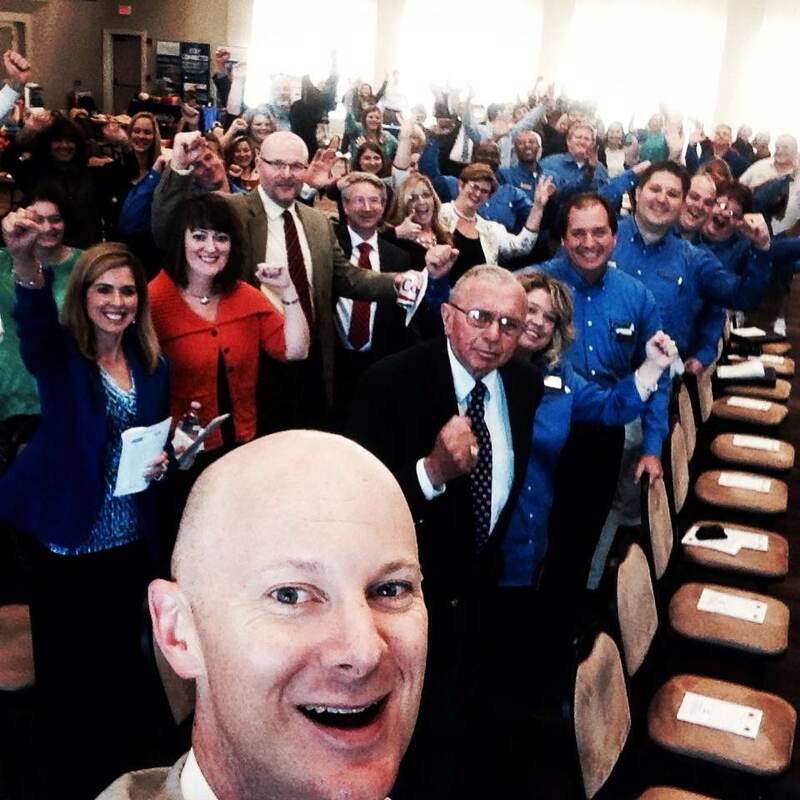 "Ben motivated our team for our kickoff retreat. Everyone loved his presentation. We even put up a bulletin board with reminders of his tips and strategies; we call it the "Fanning Effect". 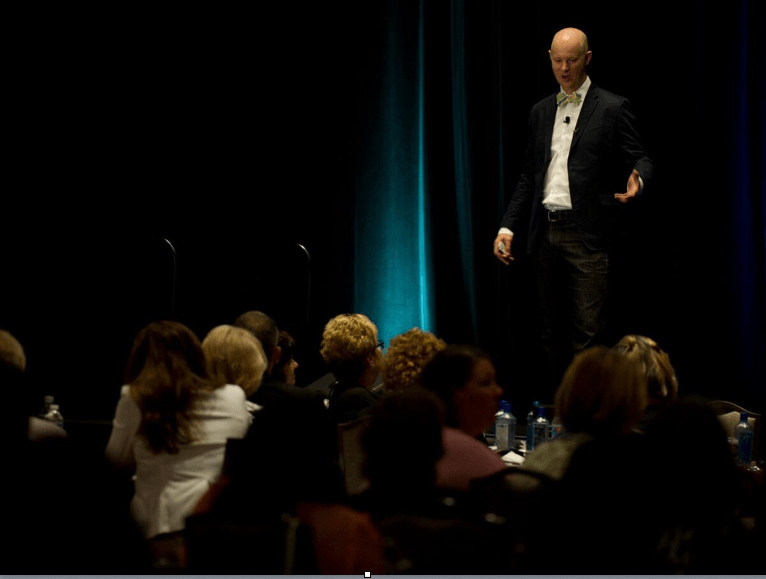 His presentation provided a contagious energy that has stayed with us many weeks after. We will definitely have him back soon"
This picture speaks for itself. 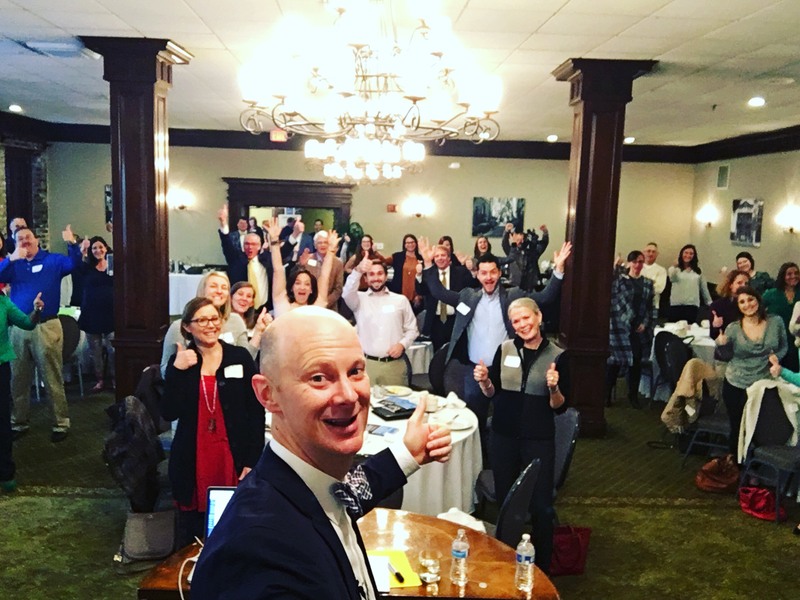 It was taken at 7:30 A.M.
"Ben's energetic style really engaged the audience. We've already booked him for a second event." 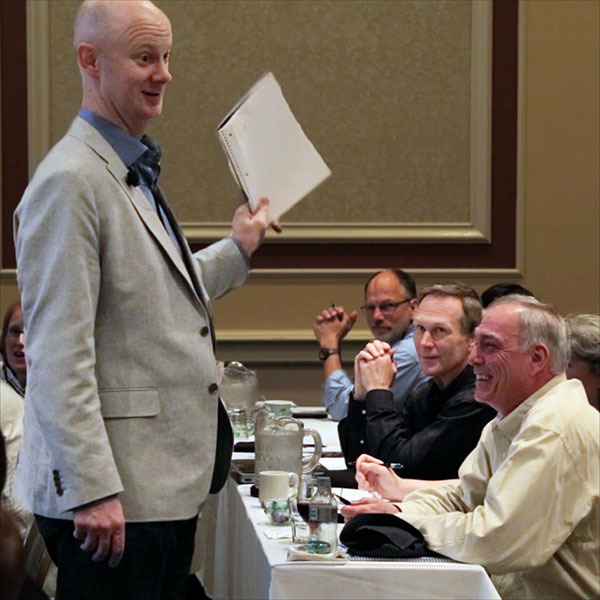 "Ben is a dynamic and energetic speaker who delivers a powerful and memorable message to his audience." "Working with Ben is fantastic! You receive a empowering message that applies to every day life. 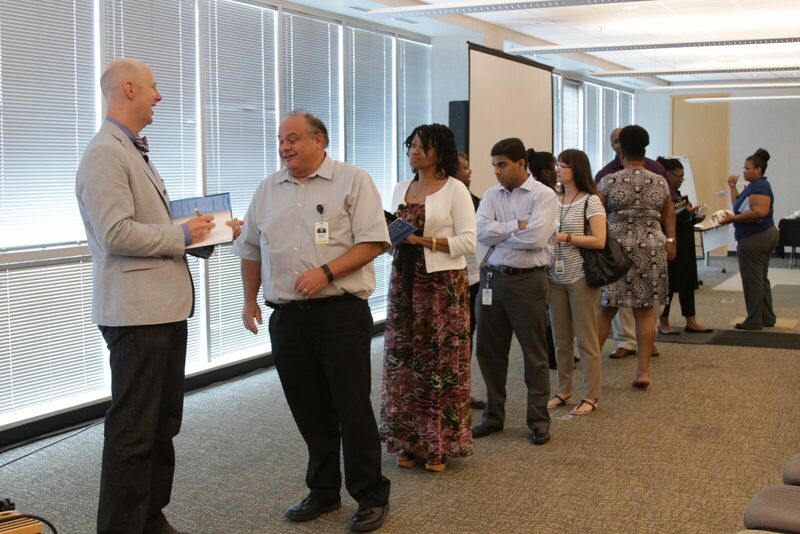 Everyone at our event walked away with a fresh perspective." 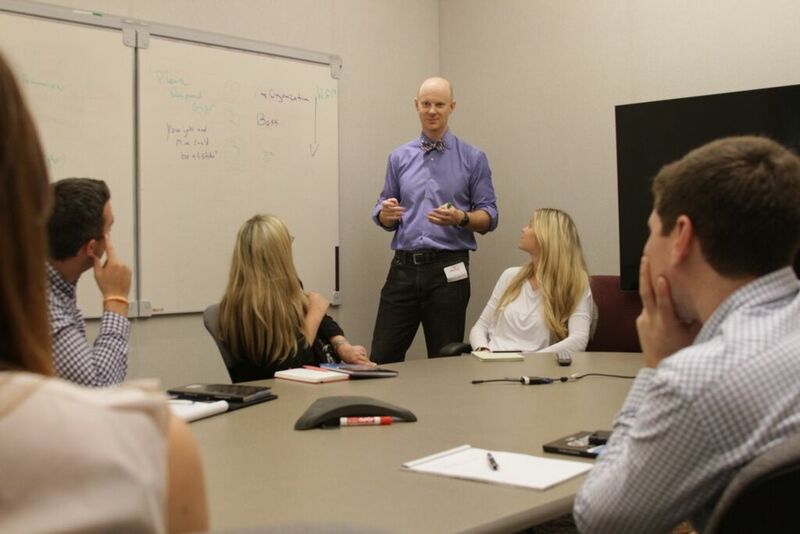 "Ben kicked off our program with a huge bolt of positive energy and shared lots of helpful workplace strategies! " Why Not Include a Break Out Session or Book Signing With Your Event?